Welcome to our Shop! We provide resources and options for natural postpartum recovery. We also offer supplies for service providers and professionals who serve the postpartum population. 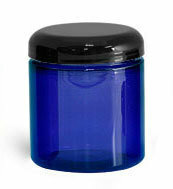 Cobalt blue jar with lid. Each jar holds about 100-150 "00" capsules, and will store your herbal supplements protected from UV rays and moisture. A beautiful way to keep your herbs fresh and pure. The Shop at PBi was created to bring parents the quality natural products that we use ourselves, with our own family, and for our own clients. The Shop at PBi provides people with the tools, supplements, and products they need to nourish themselves, their children and their entire family - all drawn from the power of Mother Nature. We hope you enjoy browsing through the unique products offered at the Shop. Have a wonderful day! Becoming a parent means you must become skilled at forgiving yourself. 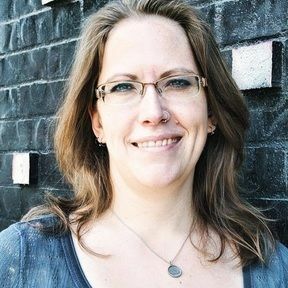 I started working with birthing people back in 2006, providing postpartum services that will help them have a faster, easier, postpartum recovery. I also created the international Placenta Encapsulation Specialist® Training and Certification Program, and have trained hundreds of professionals around the world. The Shop @ PBi is a way to provide supplies and resources for other people in their professional services business. These are my favorite products that I use regularly, and I hope you enjoy browsing the Shop.